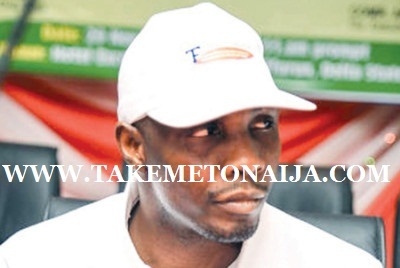 Tompolo whose real name is Government Ekpemupolo is a Billionaire Nigerian businessman, ex-militant and commander of the Movement for the Emancipation of the Niger Delta. He was granted amnesty in 2009 by president Yar’Adua. exploration and production which was drilled from his own community. resources needed to achieve their goal. was MEND that would admit responsibility for the act. gun-running and the 1 0ctober 2011 (Independence Day) bombing in Abuja. in Houston. Its Nigerian operational base is Choba, Port Harcourt. exports drastically and negatively impacted on the economy. structures to provide security for the troubled waterways in the state. month to maintain peace, on behalf of government, on the waterways. instances of the militants’ atrocities. machine guns, Uzzi guns, Army mistin carriers, dynamite and gun boats. taciturn, was and is indeed, a government all of his own. cause for the Niger Delta would be doing so for his personal interest. choice but to go back to taking up arms. was pursuing what he insisted was “a genuine struggle”. Domain,” to President Goodluck Jonathan. agreement. The concession is renewable for two terms of five years each. enforce the sabotage law and collect levies on its behalf. the federal government could not bear the cost of the project. president Umaru Musa Yar’Adua on June 27, 2009.